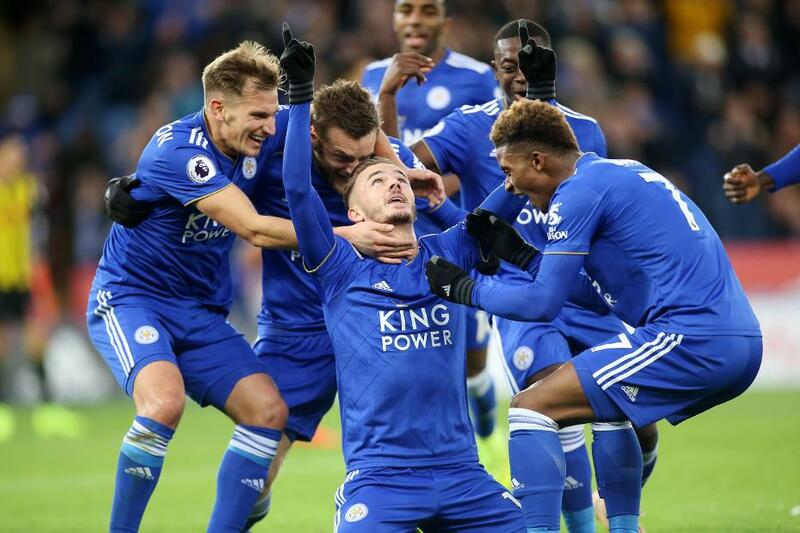 Two first-half goals earned Leicester City their first home Premier League win since September, as they beat Watford 2-0. Jamie Vardy opened the scoring from the penalty spot after he had been brought down by Hornets goalkeeper Ben Foster. James Maddison doubled the lead with a superb right-footed volley after collecting a pass from Marc Albrighton. Watford had chances to hit back but Isaac Success, Roberto Pererya and substitute Andre Gray all failed to take them. The visitors were reduced to 10 men in second-half stoppage time when Etienne Capoue was shown a straight red card for a challenge on Kelechi Iheanacho. Leicester move up to seventh place, one point ahead of their 10th-placed visitors.